5 days, 17 hours, 50 minutes, 20 seconds!!! In case you hadn’t heard, we are getting new Dell 13 inch 2-in-1 laptops. Our current Lenovo laptops are for sale to support purchasing the new laptops for next year. If your student would like to purchase their current laptop or extra laptops, we are selling them for $75, bag included. The computers will come with Windows 7 Professional as well as other free software that can be useful to you. To purchase your laptop, please fill out this form: http://survey.ucaa.org/index.php/488891?newtest=Y. 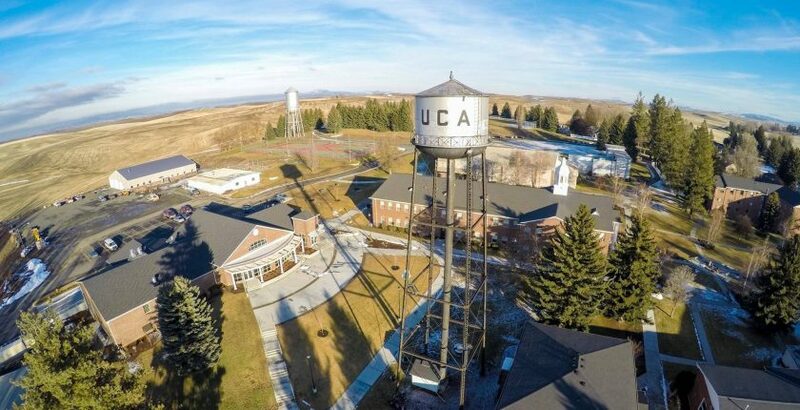 Feel free to contact Bob Lenz at (509) 245-3684 or Bob.Lenz@ucaa.org if you have any questions. Wednesday, May 31, is a regular day of school for Freshmen and Sophomores. Thursday, June 1, is a regular day of school but only morning classes meet. If your student has a Junior class they need to come on Thursday. Only Freshmen and Sophomores who do not have Junior classes are free to leave after their last appointment on Wednesday, May 31. When all of your student’s classes are finished (on either Wednesday or Thursday), and their work commitments are done, their room is packed up and cleaned, and they have checked out with the deans, they are free to leave. If you have any questions regarding this process, please contact the deans for more information. The graduation weekend schedule is attached. This is the same schedule that has been sent in the mail to Junior and Senior parents. Please look it over carefully to help your student know where they need to be and when. Friday, June 2 Supper 5:00 – 5:30 p.m.
Sabbath, June 3 Breakfast 8:30 – 9:00 a.m.
Sunday, June 4 Breakfast 7:45 – 8:15 a.m.
Consecration – Gym Friday, June 2, 7:30 p.m.
Sabbath School – Gym Sabbath, June 3, 10:00 a.m.
Baccalaureate – Gym Sabbath, June 3, 11:00 a.m.
Sundown Meditation – Gym Sabbath, June 3, 8:30 p.m.
Class Night – Gym Saturday, June 3, 9:15 p.m.
Commencement – Gym Sunday, June 4, 10:00 a.m.
All graduation weekend programs will be live streamed. To view, please go to www.ucaa.org/live. A link to the written program will also be on the live stream site. Please tell family and friends who want to view the weekend programming. Attached is a blank order form from the photographer who will be taking the photos of your Senior receiving their diploma. If you have any questions regarding the photographs, contact the company directly (contact information is on the order form). Notice the discount for placing and paying for your order on graduation day. Thank you for sharing your children with us this year! We have enjoyed having them and we feel privileged to serve them in the best way we can. We look forward to having our seniors’ families and friends join us this weekend for a very special time. God bless all our UCA families with a safe and happy summer!